Our annual impact reports summarize the impact initiatives of HCAP Partners and its portfolio companies throughout the year. 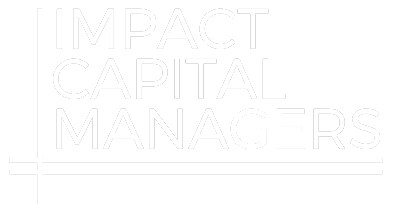 HCAP Partners (formerly Huntington Capital) was featured as a top performing impact investment fund in this report, written as a resource for the broader community interested in the future of impact investing. HCAP Partners was included in a select collection of impact stories that offer compelling examples of how private sector investments can drive social and environmental outcomes while demonstrating how they directly support the achievement of the Sustainable Development Goals (SDGs) approved by the United Nations. This special edition if Big Path Capital's Smarter Money+ Review, was launched at ICS London 2016 inside the Houses of Parliament to highlight both the challenges of quantifying critical impact and the potential responses for achieving impact at scale. Founded in 2012 and based in Oakland, CA by a single high-net-worth family, Pi Investments was created to pursue a 100% impact portfolio. This case study outlines Pi’s decision to invest into HCAP in the context of meeting the family’s triple mandate of preserving historic wealth, generating returns and advancing transformational social or environmental impact. HCAP’s investment strategy is outlined alongside its impact focus of investing in underserved businesses. The case study further details HCAP’s commitment to intentional impact through the Gainful Jobs Approach. Highlights the wellness initiatives of HCAP Partners portfolio company, Protect Plus Air Holdings. This case study showcases Noribachi's efforts to actively foster a culture of employee ownership through stock option offerings and employee training. Features HCAP Partners portfolio company, RPI, and the company's initiative to build an inspired culture, empowering employees to reach their greatest potential and to affect change.